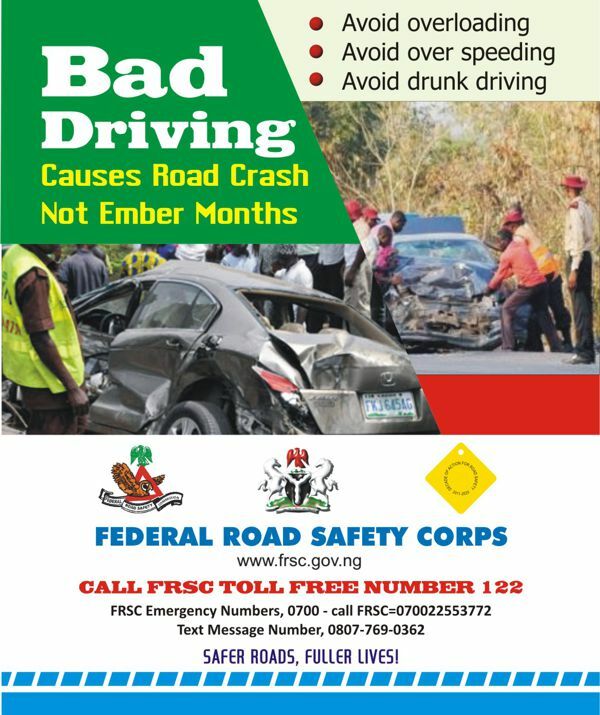 As part of activities lined up to improve safe vehicular movement and mitigate crashes before, during, and after the Easter celebration; the Corps Marshal, Federal Road Safety Corps (FRSC) has approved the massive deployment of personnel, both regular and special marshals, to address wrong road usage by motorists and ensure free flow of traffic on all major highways across the country. Total number of regular and special marshals deployed are 35,000 while over 200 mobile courts are also put in place. 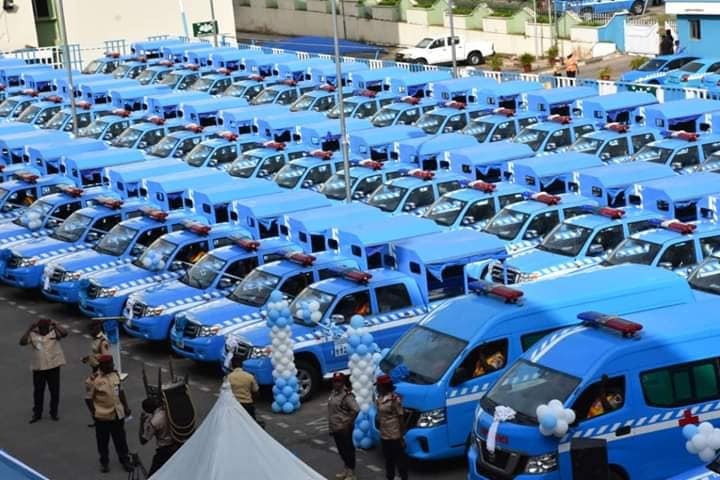 According to the spokesman of the Commission, Bisi Kazeem, the proactive Patrol and Rescue Operations which is billed to commence from Thursday 18th April to Tuesday, 23rd April, 2019 will cover 52 Corridors across the federation. Kazeem said that, " concerned by the increasing wave of movement of vehicles and passengers travelling during festive periods in Nigeria, and the usual traffic preconditioned by unplanned journeys, inadequate vehicle maintenance, inappropriate use of the road and other rogue journey determinatants and delays; the aggregate of which commonly result in gridlock and road traffic crashes. The Corps Marshal has also directed the immediate commencement of aggressive public enlightenment campaigns across motor parks, terminals etc to sensitise the motoring public on the basic safe road use practices expected from drivers this season". 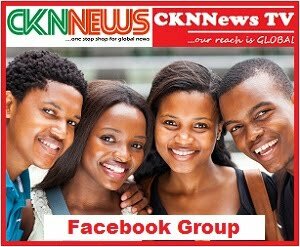 In another parlance, the Corps Marshal warned the general public to note that the Corps will not hesitate to bring any erring offender to book. And in doing so, the Corps will focus its Easter Special Patrol on all offences, particularly the following; Overloading violations, Drivers License violation, Lane indiscipline. Others are, Driving with expired/worn out tyre and without a spare tyre and Failure to install Speed Limit Device. He further stated that the Corps will be prompt in rescue operations and removal of rickety vehicles on the road and other obstructions. In addition, Mobile Court Operations shall hold across the country to minimize cases of offenders discharge to entrench good road culture and behaviour. Buttressing this further, Oyeyemi emphasised the importance of collaboration and stated that the Corps will increase its involvement and synergy with other security agencies to check the activities of recalcitrant offenders. Continuing, Kazeem also said that the Corps Marshal has assured Nigerians that the Corps has instituted measures to ensure safe travels before, during and after the Easter celebrations. He elaborated that to achieve the above, motorists need to embibe safe road use attributes, particularly, avoid excessive speed, overloading driving under influence of drugs or alcohol, always take first driving precaution and avoid unnecessary rush, plan their trips and cooperate with law enforcement agents. He therefore reminded the public to call FRSC toll free numbers; 122, or 0700-CALL-FRSC, 0700-2255-3772 for prompt rescue and removal of obstructions.